What is your lighting style? When choosing new light fittings for your home, there are many things to consider, from light output to the size and the type of fitting required for your room. But whilst functionality is important, one of the key things to think about is style. Will the light fitting complement your decor and fit with the individual style and tastes in your home? From ceiling lights to table lamps, the right lighting can complete a room and bring a whole look together, but choose the wrong style and your light will stand out for all the wrong reasons. Deciding your lighting style will make it easy to choose the right light fittings for your home. 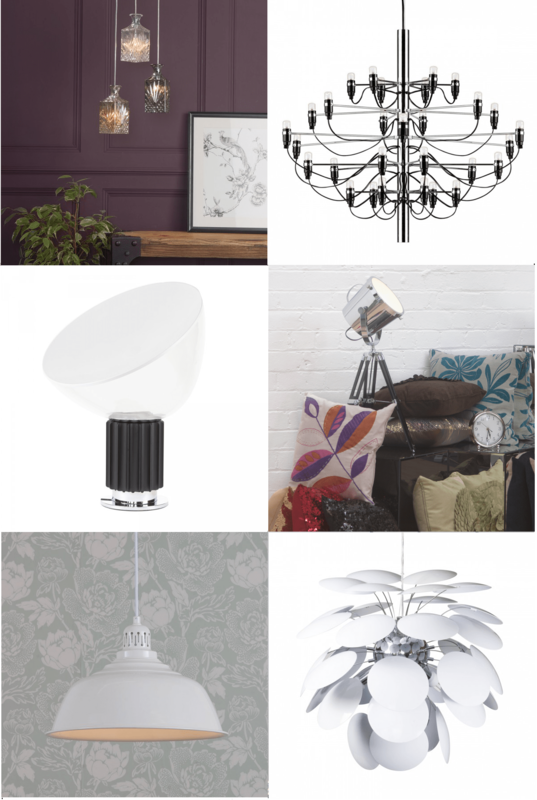 Whether you want to create a beautifully opulent look or prefer something more sleek and minimalist, there is a light fitting to suit every space. The choice of lighting styles available can be overwhelming, but our guide to lighting styles will help you to decide the right style for you. 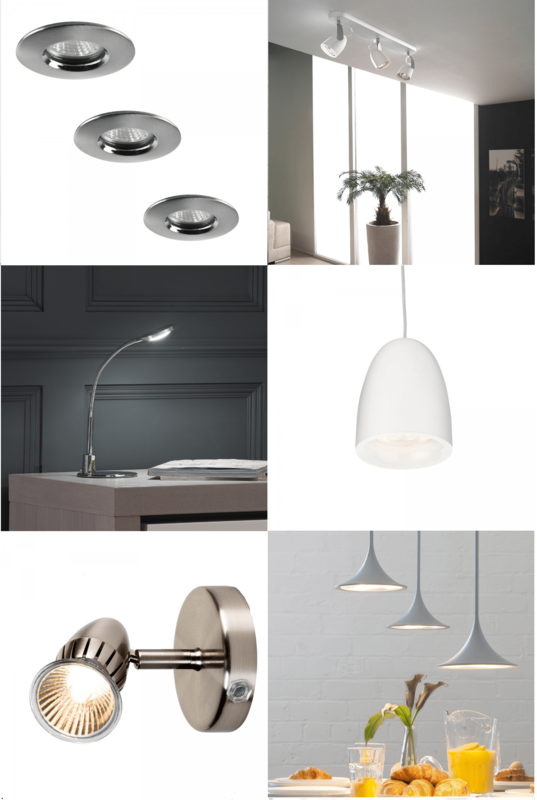 If your home is modern in design and you like stylish touches, contemporary lighting might be the perfect choice. Contemporary styling takes inspiration from the latest interior designs, with bold shapes, block colours and modern materials including chrome, acrylic and glass. Whilst the contemporary style may not work well in a country cottage or a grand Victorian hallway, it is perfect for modern apartments and houses. 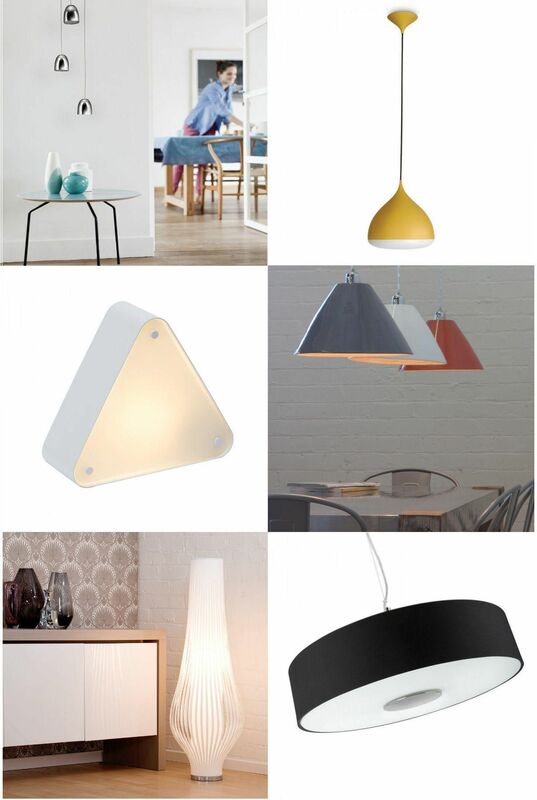 Contemporary lighting will make a stylish impact in modern kitchens, living rooms and bedrooms. For the ceiling, pendant lights are perfect for a contemporary interior. They create a bold silhouette and add an interesting feature to modern rooms. We also have a range of stylish and contemporary ceiling shades to instantly update any space. For contemporary accent lighting, look for table lamps and floor lamps in unusual shapes and non traditional designs, such as the triangular Deco Callagan table lamp. Our new collection from Philips lighting features a whole range of stylish, contemporary light fittings. The Philips Wolga cluster light features three chrome bell-shaped pendant shades to create a contemporary style statement, while the Friends pendant light features a bright yellow pendant shade to add a pop of colour to modern interiors. For homes decorated in a classic style, consider traditional lighting to complement your decor. Traditional style light fittings work well with grand spaces, aged furniture and rich fabrics to create an opulent feel. Larger rooms with high ceilings can benefit from traditional style lighting which will add a warm and cosy touch. To achieve the traditional look with lighting, think decorative chandeliers, table lamps and wall sconces. Antique brass and frosted glass finishes perfectly epitomise the traditional style, inspired by designs of the past. Add a touch of classic elegance to your room with an authentic style Tiffany table lamp, featuring a beautiful stained glass shade inspired by traditional designs. The crystal encrusted Madonna antique brass chandelier will bring a decorative focal point to a traditionally decorated room. One of the best things about traditional style light fittings is that they never date; the classic style will look great for years to come. Add a touch of elegant style to an interior with decorative lighting. Look for sparkling crystal accents, opulent materials and charming detail to achieve this look. This decorative style works well with both modern and traditional interiors; it’s all about adding glamour and sophistication. Decorative lighting is perfect if you like a home full of decorative accessories and beautiful fabrics. To achieve this look, opt for chandeliers and ceiling lights with sparkling crystal drops, or look for wall lights and table lamps with interesting design details. The Marie Therese chandelier in plum features curved acrylic arms and crystal effect beading to create an eye-catching, decorative focal point in bedrooms and living rooms. In dining rooms, position the L’amour double chandelier with pleated shade above the table to create a glamorous focal points for dinner parties. 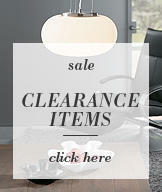 The Devon glass ball table lamp is a decorative alternative to a standard table lamp. If your style is more streamlined and sleek, then functional lighting is perfect for you. Think clean lines, muted colours and pared back detail. This no-fuss style features minimalist light fittings that focus on functionality and practicality, perfect for contemporary apartments and bachelor pads. Functional lighting will light up your space and let your decor shine. A great choice for functional spaces such as kitchens and home offices. If your home is decorated with sleek glass tables, wooden floors and minimal accessories, the functional look is perfect for you. To achieve the look, go for practical light fittings such as spotlight ceiling bars with adjustable heads, such as the Alma 3 light spotlight bar in white. For functional task lighting, choose flexi neck desk lamps and adjustable arm lamps. Recessed spotlights in polished chrome are perfect for complementing a minimalist interior. Do you love styles from bygone eras? 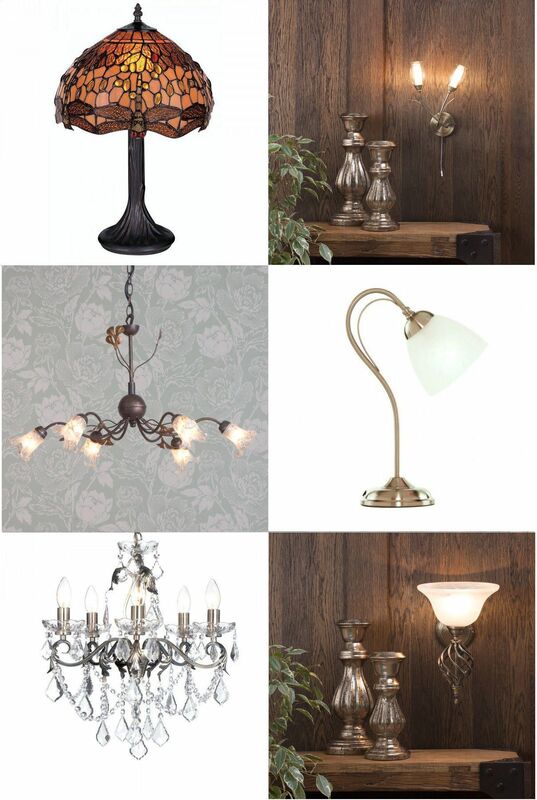 Then consider vintage inspired lighting for your home, perfect for adding a hint of nostalgia to your decor. 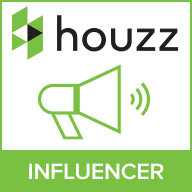 Choose this look if you like to decorate your home with stylish wooden furniture, bold vintage fabrics, quirky accessories. Whether you love the glamorous style of fifties Hollywood or you’re looking for an elegant 1920’s style light fitting for your home, there is something to suit every vintage inspired interior. Chrome and white finishes help to keep the look chic and fresh. For the perfect vintage-look addition to your home, the Gatsby pendant light features vintage style bottle shades and is inspired by the Art Deco design period. 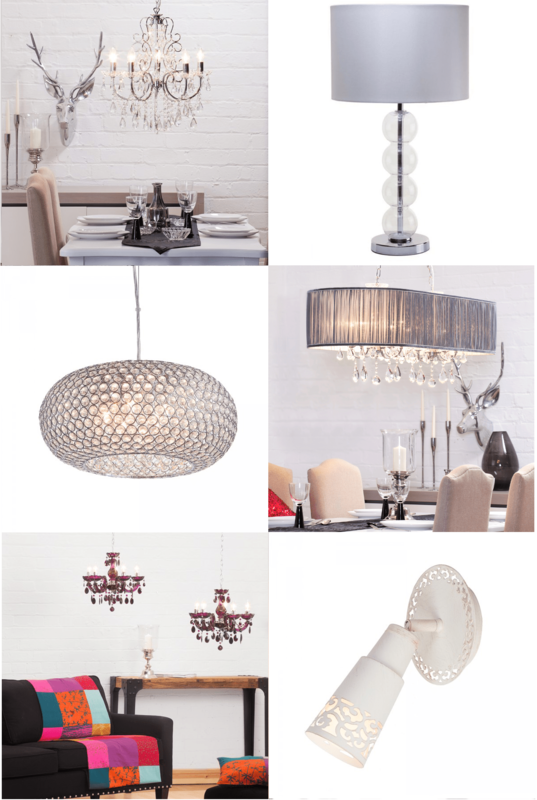 Our Replica Circa range features ceiling lights and table lamps inspired by different era of design, such as the Replica Circa 1957 Chandelier and the 1949 pendant ceiling light with white discs, great for a vintage look with a modern twist. Finding your perfect lighting style will make it easier to choose a complementary light fitting that fits perfectly in your home. 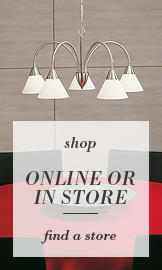 Litecraft have a wide range of ceiling lights, wall lights, table lamps and more available to suit every decor. Check out our full ranges here.